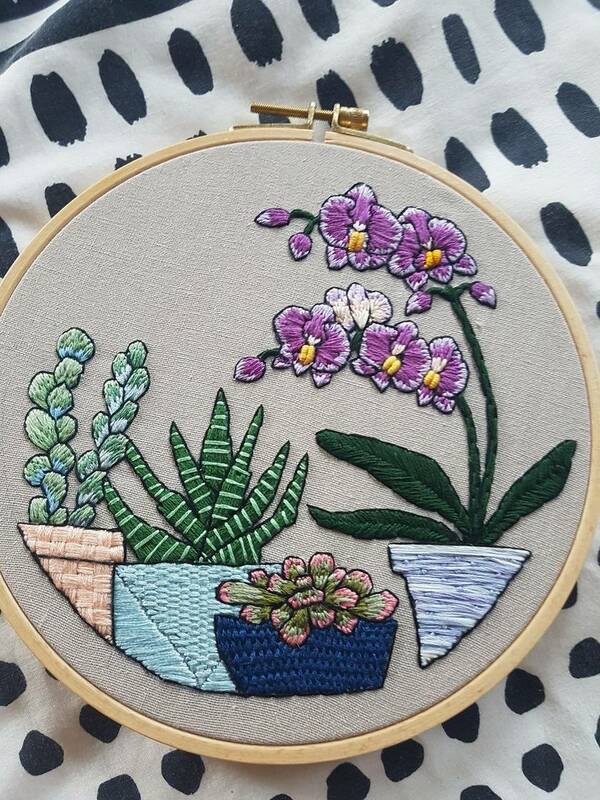 Hand Embroidered orchid and succulents in pots. Stitched by myself and in an 18cm hoop on linen with cottons. Backed with felt and ready to be hung on any wall as decor to brighten up any space!